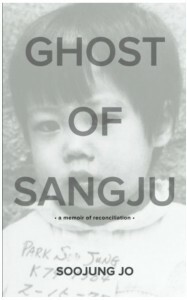 Soojung Jo, Deanna Doss Shrodes, and I sat down to chat about Soojung’s new memoir, Ghost of Sangju, A Memoir of Reconciliation, published by CQT Media And Publishing, now available on Amazon. 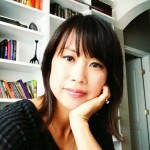 Laura—Your memoir, Ghost of Sangju, A Memoir of Reconciliation, is such a compelling, eye-opening read. Among other preconceived notions, your story blows out of the water the stereotype of wayward mother who abandons her baby. Without giving too much of the story away, can you help us understand generally what the societal situation was/is like for Korean unwed mothers? Soojung—Imagine if, in the US today, an unmarried woman became pregnant. Imagine if she were shunned by her family, denied childcare so she couldn’t work, and prohibited from getting a birth certificate or social security number for her child. How would she survive with no support? How would she earn a living, provide that child with medical care and education? And further, imagine if she were told over and over again that her child would be better off with a “real” family, that she has no right to be a mother. All this, without regard to her own education accomplishments, economic status, or age. This has been the reality for single Korean mothers since before my Omma’s time. When all the social and economic forces work against an unwed mother, how could we characterize relinquishment as abandonment? In contrast, the US allows single mothers to adopt those very children that Korean single mothers are all but forced to give up. 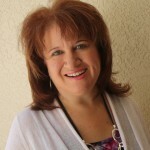 Deanna—I too found your story incredibly compelling. And, all that you’ve just shared is absolutely mind blowing to imagine. Your Omma is now part of the first mother community in Korea, working for social justice for single mothers. What are the changes in Korea, if any, since she lost you to adoption? Soojung—Clearly the economic situation is immensely better. On the first morning of my visit to meet Omma, we sat around the kitchen table with her sister (Imo) and my cousin (Hyunjung). Omma and Imo talked about how poor Korea was, but how rich it is now. The country has transformed itself to the outside world, but the basic culture and character hasn’t changed. Single mothers face the same challenges today as they did when Omma lost me, and some of the strongest activists for single mothers’ rights are those of us who survived the worst outcomes of those cultural prejudices: adoptees like me and single mothers like Omma. Laura—There’s this amazing scene in which your Omma shows obeisance to your adoptive parents. How do you personally reconcile conflicting feelings you had in those moments? Soojung—I’m glad you picked up on the conflict in that scene, because it’s so representative of the greater dissonance throughout my American life and especially through the experience of meeting my Korean family. First, there was a basic disbelief that this moment could even be happening—my Korean mother, my American parents, myself in hanbok, together in my house. Then, there was a very American revulsion to the act of bowing to my own parents, and even more so that my Omma was bowing to them as though she were subservient, or that she owed them a debt of gratitude. I wanted her to stand, to be proud of herself and her journey, even in its terribleness. I wanted her to claim herself as their equal. At the same time I felt a similar gratitude to them—the normal gratitude that all children feel toward parents who raised them to a happy adulthood—while feeling that gratitude to Omma as well. Between all of us, the room was so charged with conflicting emotions. I don’t think any of us knew what to do with it. Deanna—Both of your reunion stories in the book—of your trip to Korea, and your Korean family’s trip to America—are riveting. As anyone who is in reunion knows well, it’s an ongoing journey and rollercoaster of emotions. What is the greatest challenge in reunion for you now, aside from the obvious one that Omma and family live so far away? Head over to Adoptee Restoration on Wednesday to find out Soojung’s answer in Part 2 of our interview! Try pairing a large, colorful ring with dangling earrings. It sounds weird to read about ghost as I have watch them in horror movies. Well, I appreciate your efforts for giving this interview a book shape so that people who remain busy in searching entertaining news can find it impressive. That's really great, keep it up. Thanks for keep sharing your valuable content. Getting an education about childcare training from an accredited school is a must before you can work as one of those childcare professionals. All those who needs something like codes for steam games can have this website that can give you card from which you can have what you want. I need that website. Mate can you provide? It is evident from this post that the challenge is real for for the unwed mothers in Korea. This post is very educative and thanks a lot for providing us with this interview. I'm glad that I came across this site as I have now understood what the memoir, Ghost of Sangju, A Memoir of Reconciliation is all about. The Ghost of Sangju is compelling reading. This was a very interesting read! Lots of opinion and very good research to be shared! Good feedback from the online readers as well. Thank you for taking the time to share this with us. Thank you for this useful post. Thought of giving you free pokecoins is awesome. thanks for sharing such great article with us through this post. Hi, thanks for the great share. Well, I appreciate your efforts for giving this interview a book shape so that people who remain busy in searching entertaining news can find it impressive. Well, I appreciate your efforts for giving this interview a book shape so that people who remain busy in searching entertaining news can find it impressive. Well, i am searching for some health related sites and the live healthy always is the one of th best among them. Thanks for posting this interview. The discussion between these women is very live and interesting as they have touched a very topical issue. Thanks for this nice post . I’m so excited in regards to the progress and what’s occurring within the lifetime of our school. I think this is the best story I have ever read and I am glad that I am finding so many interviews that tell the background behind the story. I also want to contribute to the story and I have to recommend free online resume review as an assistant to essay writing. We honestly want to serve you the simplest matters with 100 percentage satisfactions. It is extraordinarily exhausting to say as soon as exactly must be forced to money your test. Well written by the author.Lots of interesting facts are there.Thanks for sharing. Thats a exciting article.I am very happy to read this post.Thanks for sharing. Well wrtitten. Thanx for sharing !I have not read this book yet but i`m lookng forward to buy it. I think it will be good to read it . I like such books. Recently i made discovery after looking through these australian essay writing reviews and decided to use it more often.Bu anyway, how often do we read books nowdays? We so used to our tablets & smartphones so we just frogot about real paper books. in the above put up, Memoir of Reconciliation is my debut work. 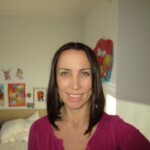 I’m also a contributor to the misplaced Daughters weblog, expensive exquisite You: Letters to adopted and Fostered children, and several anthologies currently in development and you did a fantastic and incredible job to reveal those types of blogs and posts. That's sounds so much loving. We have an awesome collection of leather jackets. Our mantra is quality over quantity and that is why we use only the finest quality of leather and stitching. Not only the we are know of on going trends and celebrity wears so we manufacture our jacket according to current trends, movies, celebrity wears and TV show. Have a look at this simple yet classy leather jacket. Understanding Master and Subprojects Project Management Homework Help by visiting this site I found cool stuff here keep it up. This attractive cotton jacket is a must-have. It is made up of pure cotton. It has a stylish stand up collar and front zip fastening. Its body fit design and premium stitching makes out stand from others. Grab yours on exclusive sale price now! You’re doing a great job Man,Jasa Floor Hardener Keep it up. are available for all wears; be it formal or casual. We have a stock of all standard sizes and colors, as they’re available for people of all ages. free app apks for Android. Great article, with a lot of good advice. Your blog is very informative. Thank you for sharing this post. May I simply say what a comfort to uncover somebody who truly knows what they are discussing on the net. your story. I was surprised you’re not more popular because you certainly have the gift. MLB postseason begins on Oct. 2, with Fall Classic starting on Oct. 23.
how to watch World Series 2018 live The 2018 Major League Baseball is set to begin on October 23, and a potential Game 7 is scheduled for October 31. Do we need to write long articles for ranking on top in Google?